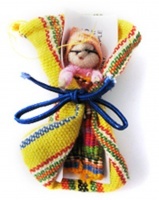 Mini handmade colourful pouch containing five or six worry dolls each to tell your worries toto. 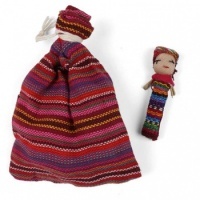 Really cute little worry dolls, in lovely stripey fabric bags. Just what I was looking for! 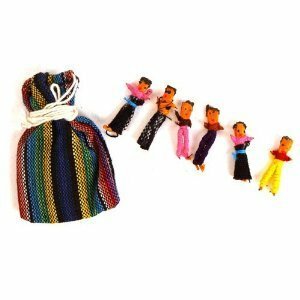 The dolls were tiny, yet were as described. They were exactly what my 5 year old grandson expected (from a story book he had read). He told them his worries, put them on his mantle piece (rather than under his pillow) and slept soundly. 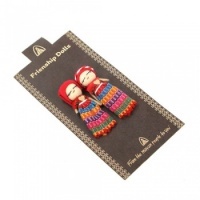 Would have helped if a size of the dolls was on the description - didn't realise they were so small. Will still use in my counselling practice though!